If you are thinking of buying a home, you may not know where to start. “What is the process of buying a home, what is the sequence of steps to buying a house?” This is a question that we get asked a lot from first time home buyers and buyers that haven’t been in the market for a new home for a while. 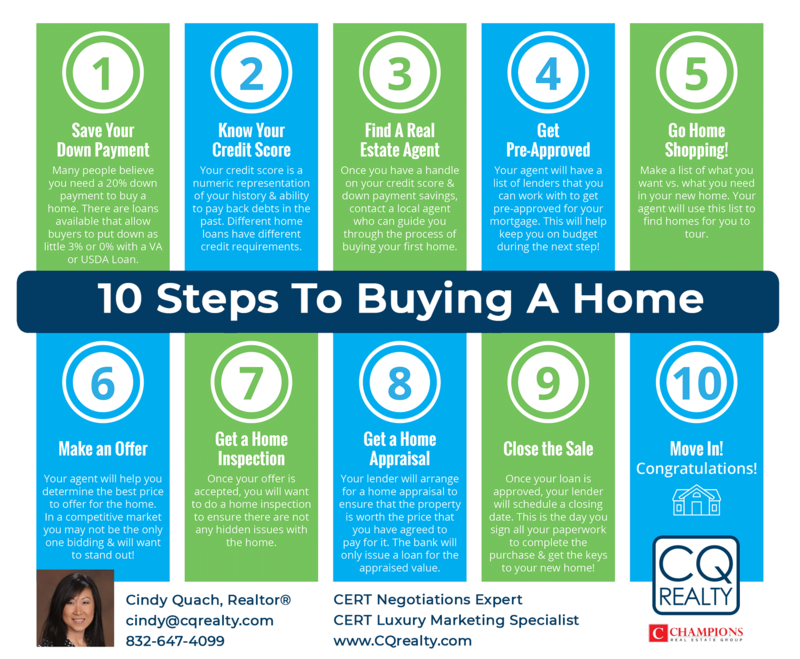 Above is a simple list of 10 steps that you will go through to purchase a home. Make sure to ask your agent for details about each step and what else may be required in your area! For example, in the Houston Real Estate Market specifically, you want to pay attention to the flood map to ensure you are not buying in areas that flood on a regular basis.